You are going to feel sooooooooooooooo bad when that doesn't happen. How soon are we taking? ... dragons, not April. Attacks by rival clans to control the treasure, and therefore the dragons, are frequent. Excursions into opposing clan territory happen every day, from dawn until dusk, and from sunset to sunrise, until a new clan controls enough treasure to control the dragonZone. Treasure can be created in a dragonZone and controlled by a clan, but unless the clan keep a watchful eye on the treasure and continue to control it, rival clans can take control of a single piece of treasure and move the allegiance of the dragon from one clan to another. Certain treasures can be moved from one dragonZone to another, but the cunning clan will only bring in those treasures which they control, as all allegiance to the treasure will be moved along with it. If you bring in a treasure which is controlled by another clan, you might find your dragonZone moving allegiance to a rival clan. 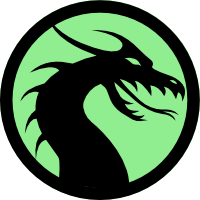 Clans will strive to maintain or gain control of treasure that exists in a dragonZone to help sway the dragon to their own clan allegience. are we going to have a REALLY long lead in to the Summer cache race this year? I'm thinking it sounds a bit like Ingress from the little I know of it (being an iOs user it's not readily available). The more treasures and dragonZones controlled by your clan, the higher your prestige. Not all treasures are considered equal. The dragons are only interested in physical treasure. Virtual treasure is not considered worthy and does not contribute to dragonZone control. Where abouts do you join? Is there a link? Looks interesting, may join in. Where is the link? Doesn't matter found it. It says "signups are pending", what do we do to sign up? Signups are pending. I've put the code live but I need to do some post deployment testing before I let it live. Sorry for being such a big tease, but it's months of code work and I want to make sure I've got everything squared away. As it's a GCA only based game, maybe you can use the intervening time to plan for some GCA cache raids.